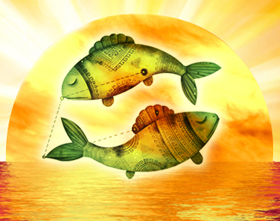 Sun enters Pisces on March 15th. This solar transit is the time to put in your best positive efforts to welcome positivity and to wash off negativity, with the grace of Sun God. 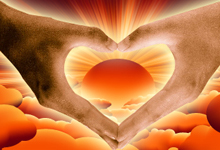 The Sun, who is the “Atma Karaka”, confers you with power and success for the forthcoming solar year. The combination of Sun into Pisces is an opportunity for you to review your thoughts and deeds of this year and to revitalize for an improved solar year ahead. During this transit, Sun will shower his blessings on you to brighten the forthcoming solar year with a powerful start and a life of honor! Sun is the Atma Karaka who signifies our soul’s desire. It is a magnanimous planet which will generously understand the negative attitudes and might punish people depending upon its’ placement in a sign. Sun burns away the impurities of heart and mind, and will bestow you with glory and accomplishment in the upcoming solar year! Pisces is the sign of compassion which develops an optimistic attitude in you. It grants you with a positive and an upright mood. Hence, the Sun in this sign will also be in a positive mood to grant your wishes and to throw off all the negative deeds which you have done either in conscious or unconscious mind. AstroVed offers you a chance to perform special rituals for the Sun God to enlighten your paths of success in the new solar year!